The following feature on Mall Ads appears in the April 2018 edition of Asset Magazine. Click the link below to be redirected to the publication in order to read the entire article. 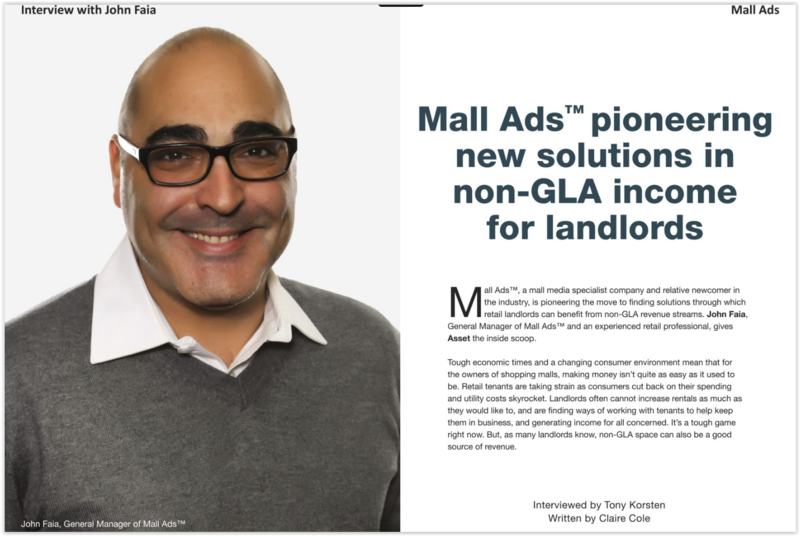 “Mall Ads™ , a mall media specialist company and relative newcomer in the industry is pioneering the move to finding solutions through which retail landlords can benefit from non-GLA revenue streams. John Faia, General Manager of Mall Ads™ and an experienced retail professional gives Asset the inside scoop. Tough economic times and a changing consumer environment mean that for the owners of shopping malls, making money isn’t quite as easy as it used to be. 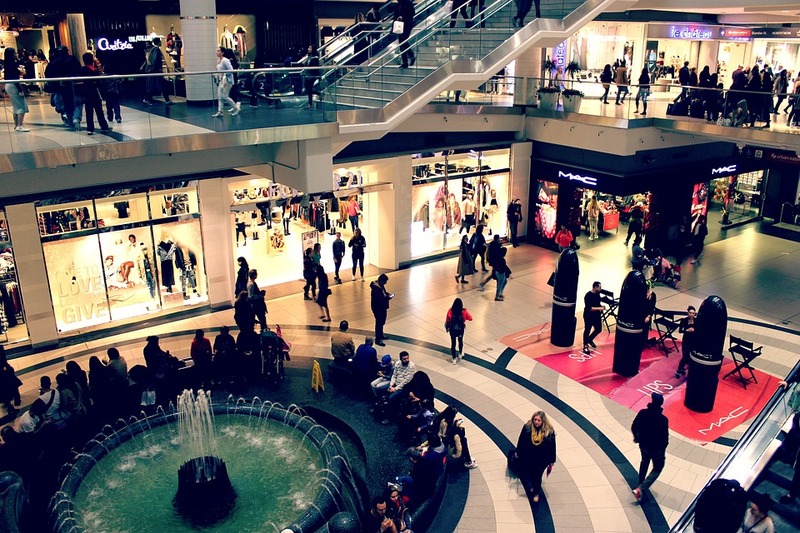 Retail tenants are taking strain as consumers cut back on their spending and utility costs skyrocket. Landlords often cannot increase rentals as much as they would like to, and are finding ways of working with tenants to help keep them in business, and generating income for all concerned. It’s a tough game right now. But, as many landlords know, non-GLA space can also be a good source of revenue. Court spaces in malls have long been used to host promotional events that generate additional shopper interest and foot traffic. But this is the most basic and obvious example. There are, in fact many opportunities that can be explored in the non-GLA space.